Agnes Marie Orf was born January 9, 1937 in Apache, Oklahoma, to John and Ruby Schafer Orf. She passed away on Thursday, January 24, 2019, in Oklahoma City at the age of 82. A memorial service is scheduled for Wednesday, January 30, at 2:00 P.M. at the Mother of Sorrows Catholic Church. Burial will follow at Fairview Cemetery under the direction of Crews Funeral Home. Agnes graduated from Apache High School. She was a licensed cosmetologist. She married Gerald Iams on June 10, 2003, in Bakersfield, California. She enjoyed dancing. She loved to travel and had traveled to 48 states, Spain, Germany, Canada, and Mexico. Her passion was helping people - taking them to doctor appointments, preparing funeral meals, and preparing her church for services. Agnes was a member of the Lady of Sorrows Catholic Church. She never met a stranger and would talk to them "like she had known them all their lives." Most of all, Agnes loved her family. Agnes was preceded in death by her parents, John and Ruby Orf; and brothers, David and Paul Orf. Agnes is survived by her children, Faye Duggins of Apache, Rita Preble of Oklahoma City, Steve and wife Linda Duggins of Colorado Springs, Colorado, and Tim Duggins of Oklahoma City; grandchildren, Craig Callahan, Nick Callahan, William Traywick, Jessica Davis, Alyssa Lynch, Renee Witten, Danielle Rubino, and Nicole Duggins; numerous great grandchildren; brothers, Fred and wife Ann Orf, Henry Orf, and Carl and wife Kathy Orf; and sisters, Katheryn Gallager and Rosie and husband Gale Beavers. Memorial contributions can be made in Agnes' name to any fire department. 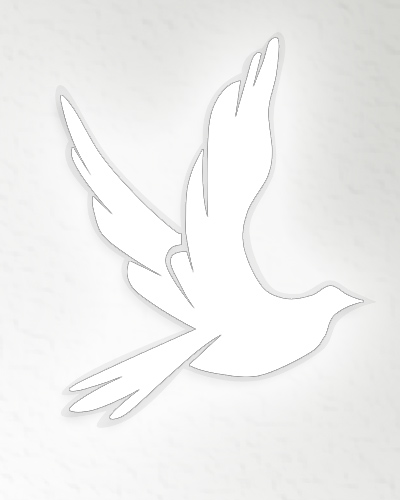 Online condolences can be made to the family at www.crewsfh.com.